An Amazon river cruise is possibly the most rewarding nature expedition in the world. Journeying into Earth’s largest rainforest, the explorer is ushered into Mother Nature’s Cradle of Life, which covers some 40% of South America across nine countries. 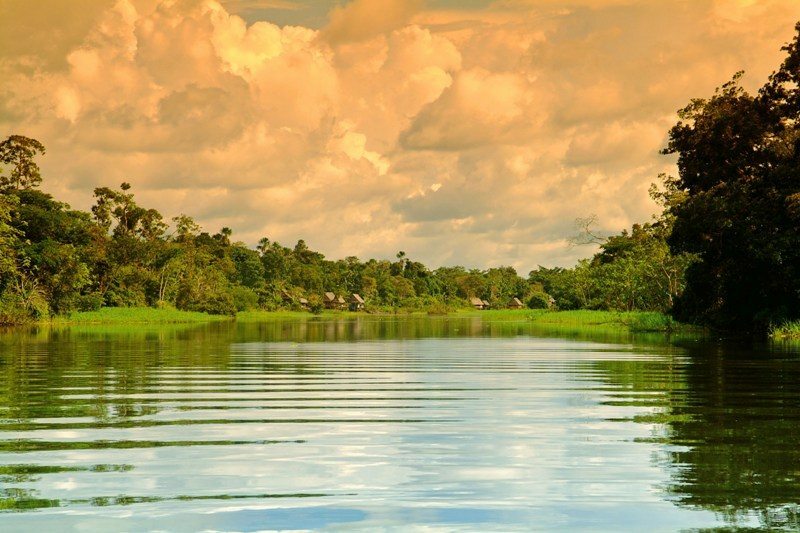 A voyage into the selva (“jungle”), as the locals call it, is only possible by boat on the mythical Amazon River. 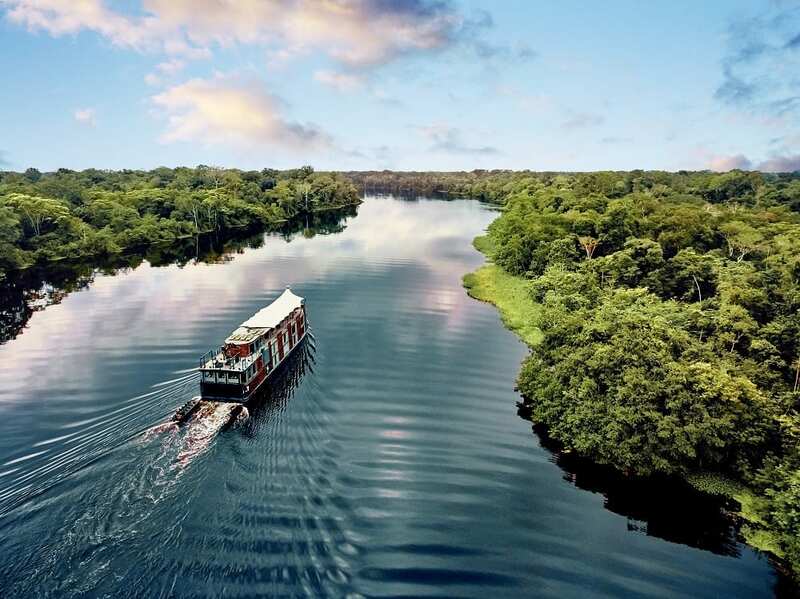 Also known as Rio Amazonas, this great waterway originates from the foothills of the Andes mountains in Peru and flows east on a 4,000 mile (6,400 km) course towards the Atlantic Ocean. The Amazon rainforest houses the world’s largest and most diverse collection of plant and animal life. It is ‘home sweet home’ for more than one-third of all recorded animal species in the world, including 20% of all bird species. At least 40,000 plant species, 427 mammals, 1,300 birds, 378 reptiles, more than 400 amphibians and around 3,000 freshwater fishes are known to exist within this giant cradle. Peru offers explorers the most direct and accessible path to the heart of the Amazon. Iquitos in Northeastern Peru, where the Aria Amazon sets sail, is just two hours’ flight from the capital and international air hub of Lima and the archeological treasure trove of Cusco. 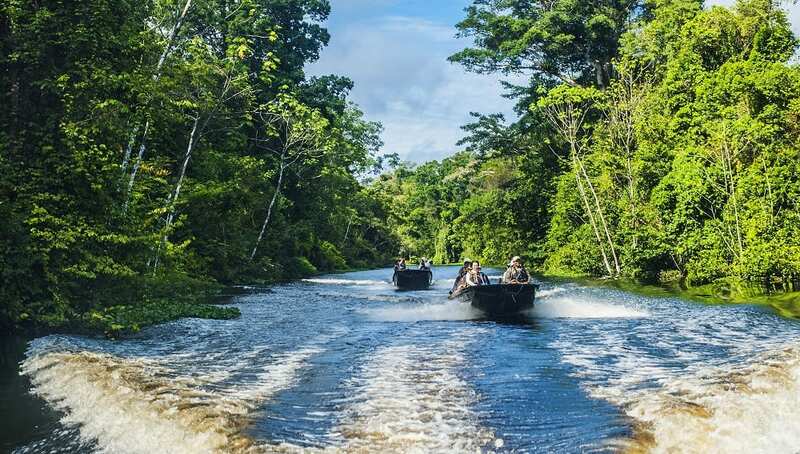 Surrounding Iquitos is lush Amazon territory — a region comprising the headwaters of the Amazon River and the Pacaya-Samiria National Reserve. Here the upriver Amazon waters are low in sediment and rich in aquatic life, coupled with an astonishing concentration of wildlife on land. To reap the most rewards out of a river cruise journey into the Peruvian Amazon, cruise with experienced naturalist guides on board. A keen eye and mountains of experience is needed to navigate a challenging terrain and help guests spot wildlife in an environment designed by Mother Nature to conceal them. River cruise ships that conduct small-group excursions are also preferable, as a lesser human presence often leads to more up-close wildlife sightings. Discover what a journey of a lifetime is like aboard the Aria Amazon. 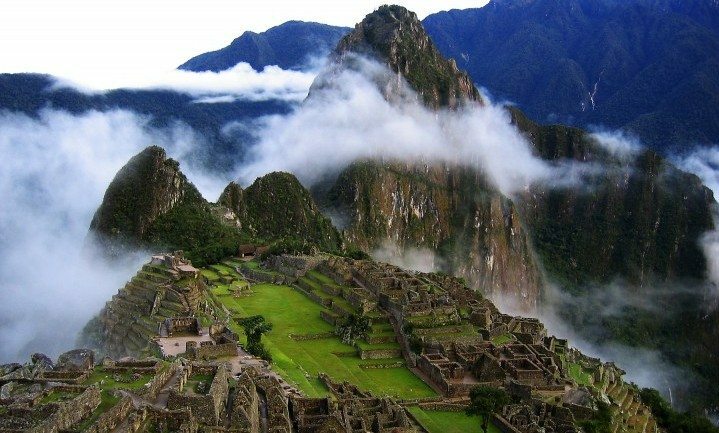 Like no other place in the world, this remarkable South American country is endowed with archaeological and cultural riches, and complete with natural wonders in every form imaginable: mountain, lake, ocean, river and rainforest. Encompassing an area as large as of Wales and more than three times the size of Yellowstone National Park, the Pacaya Samiria National Reserve is one of the most vital assets in the Amazonian rainforest and river system. Get Aqua Expeditions maps of Peru and Pacaya-Samiria National Reserve in the Amazon — on this easy-to-access page.